Virgin Bores are the Belmont experts for new bore drilling and bore and pump repairs. We have drilled and repaired many bores and wells across Hardy Road, Belgravia Street, Daly Street and Gardiner Street over nearly 20 years servicing the local area. The City of Belmont is approximately 40 square kilometres with lots of new style submersible garden water bores & many old fashioned wells. The depth to water for many Belmont bores is generally quite shallow. This means it is more economical to drill in Belmont than Perth’s more elevated suburbs. Less depth generally translates to more cost effective and cheaper to install. According to the Perth Groundwater Atlas, the surface geology when drilling a water bore in Belmont and near-by is “Bassendean Sand: quartz sand (dunes) ” making bores both relatively shallow, easy to drill and consequently quite affordable. 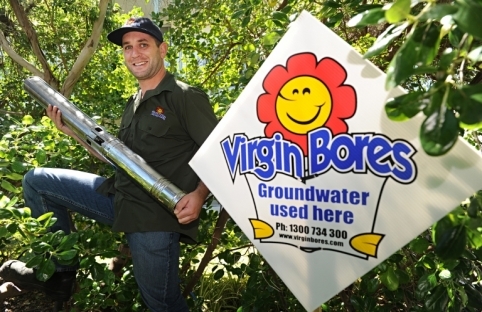 Installing a garden bore to tap Perth’s plentiful superficial aquifer makes good sense. 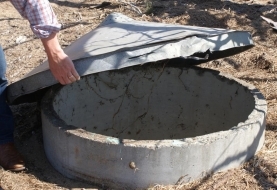 As well as saving money by not using mains water, a garden water bore uses Perth’s superficial acquifer and conserves Perth’s limited potable water supply. Belmont bores are commonly drilled to a total depth of approximately 18 to 20 metres and the water table is often reached at about 6 to 8 metres as indicated in the Perth Groundwater Atlas. The depth of water once reached is generally another 20 metres in Belmont before the base of the superficial aquifer. We will normally drill 10 to 12 metres past the start of the superficial aquifer. 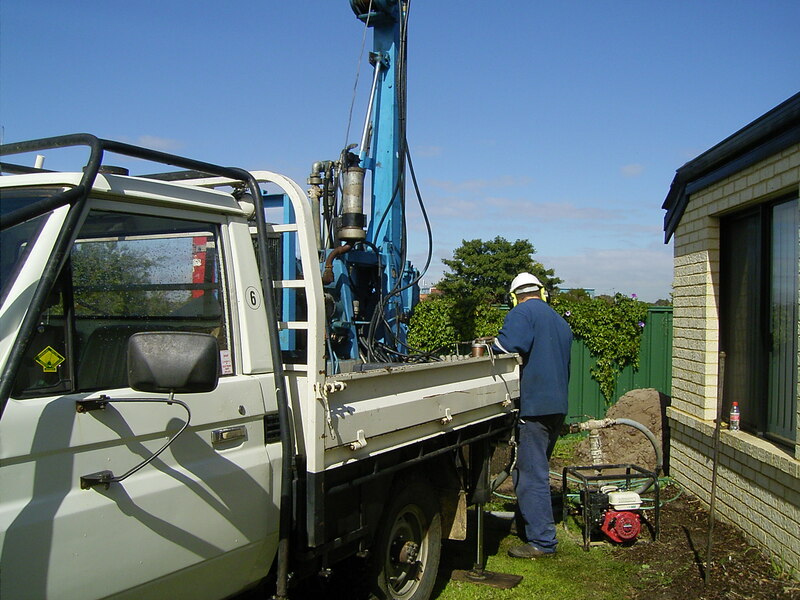 We have invaluable local knowledge when drilling a water bore in Belmont or the surrounding suburbs of Redcliffe and Ascot. Suburbs closer to the airport may have clays and this must be considered in water bore design. We have experience in the careful design of garden bores for those suburbs that abut the Swan River like Ascot and Rivervale. We drill considering the potential saline intrusion from the underlying saline wedge in those areas close to the river.. Please call us on 9246 0111 and we can easily tell you the depth to water at your property and give you a water bore cost over the phone. A modern submersible pump is quiet and invisible and is usually connected to the existing reticulation sprinkler system. There is nothing visible at the surface and everything, including the pump, is contained in a 100mm PVC sleeve bore-casing. More details of modern water bore construction can be found on our water bore page. Call us on 1300 734 300 to get an idea of the cost for a home water bore. 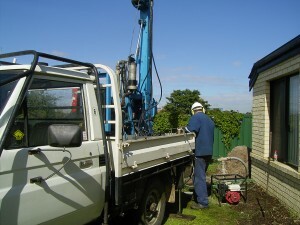 One of the team can drop around and have a look at your individual requirements and then a design garden bore to suit your needs using the available groundwater. Our bulk buying and economies of scale means you get Perth’s best value, whilst our experience guarantees you the most reliable Belmont water bore system available. 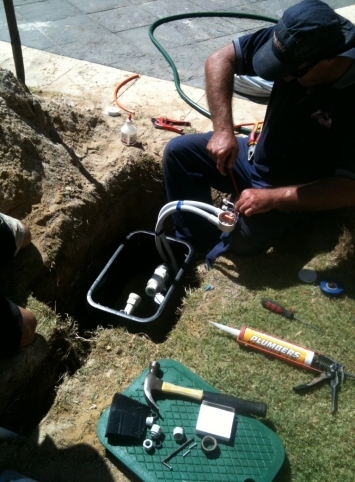 Repair and Service of existing Water Bores, Belmont, Redcliffe, Rivervale and surrounds. In suburbs like Belmont where the aquifer is fairly shallow you can often see many of the old “well” style water bores. We specialise in fixing these early bores with old tin” witches hat” lids that often contain old pumps that require regular maintenance. For example in Gardiner Street in Belmont we have recently adjusted the gland packing on an old pump in a 10 foot well. Virgin Water Bores Belmont team have the local knowledge, experience and equipment required to deal with these early well bores that can be in excess of 40 years old. If you are considering a modern stainless steel submersible bores they are essentially maintenance–free. But when they does need fixing it is very important you have a specialist company who has the experience, knowledge and equipment to guarantee a timely, efficient and cost-effective repair like the Virgin Water Bores Belmont service team. We fix all types of bore pumps Belmont, Cloverdale, Redcliffe, Kewdale, Carlisle, Ascot and surrounds. Centrifugal pumps in wells, submersible pumps, fused motors, anything to do with bores, pumps, and irrigation or reticulation sprinkler systems. Pump fusion insurance claims are our specialty. Please call us on 1300 734 300 and we will attend to any service, maintenance or pump requirement for Belmont water bores. Or fill in the form below and we will respond to you personally and promptly.